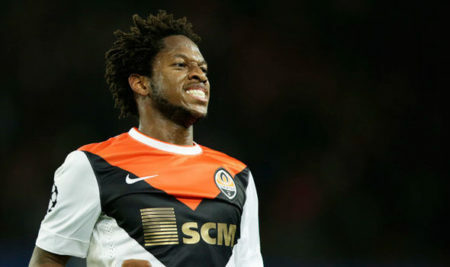 Manchester United are expected to complete the signing of 25-year-old Brazilian midfielder, Fred in the next seven days. This is a report from Skysports, who claim that his work permit application is being processed as expected and could be concluded before the end of the week. The Red Devils last week had announced that we have reached an agreement with Shakhtar Donetsk for the transfer of the central midfielder, and that a “further announcement will be made in due course”. Fred is part of the Brazil squad for the World Cup and is expected to have a decent tournament as he looks to establish himself on the international stage. He played in Brazil’s 2-0 friendly win over Croatia at Anfield earlier this month but was unable to feature in Sunday’s 3-0 victory over Austria after he suffered an ankle injury in training last week. United are believed to be paying over £50m to secure the signature of the player, who was linked with City in the January transfer window. He scored four goals and created a further seven assists in 37 appearances last term across all competitions, including the Champions League, where he was especially impressive. That suggests Fred would also bring the flair and drive to take some of the creative burden off Paul Pogba, who has at times been the only midfielder of the three to make positive forward runs. Since joining Shakhtar in 2013 from Internacional, Fred has grown into one of the most sought after midfielders in Europe; United have done well to finalize a deal.